Project 426 Street Wedge – Is it a Numbers Matching 65 Coronet 500? 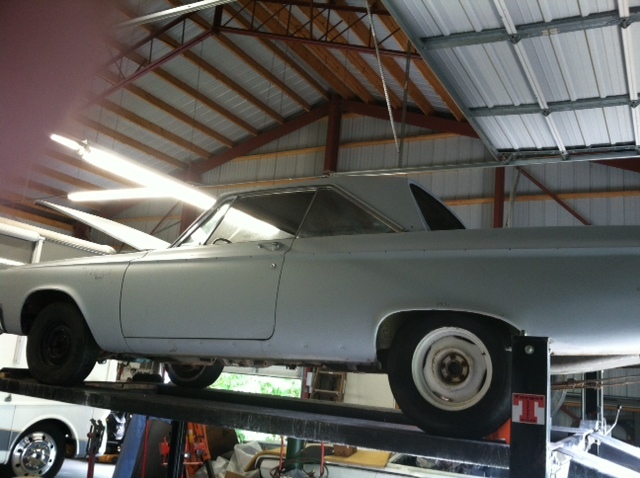 I got the 65 Dodge Coronet 500 home in one piece and the first order of business was to get it on the lift. I wanted to try and verify if the car, engine, transmission and rear axle are truly numbers matching. It’s much easier to verify numbers matching cars after 1968. Those cars have partial VIN numbers of the car on components like the engine and transmission. Earlier engines like this one did not have partial VIN numbers on the engine, but they did have casting numbers, dates, and assembly dates that will tell the real story. You need to check the block casting date, the engine assembly date and the car’s build date, in that order, when attempting to verify if it is numbers matching car. The 426 street wedge engine was only used in 64 and 65. 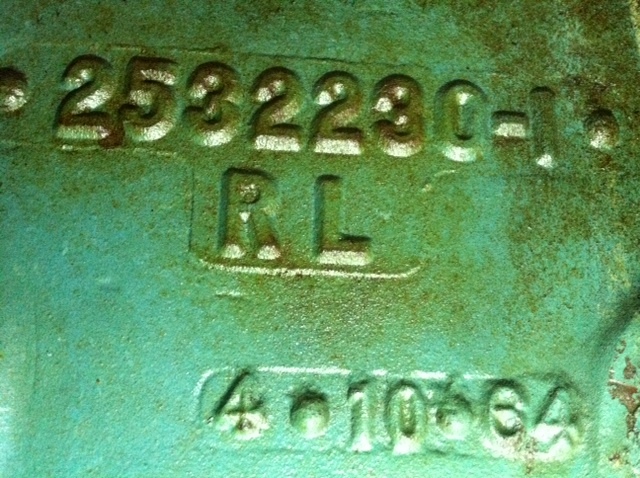 The engine ID stamp on the pad located at the front of the engine shows an engine assembly date of 10-16 or October 16th. The “A” on the pad, in front of 426 indicates 1965. 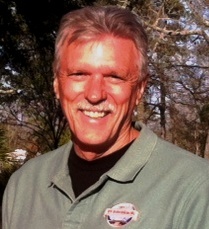 The first step in trying to verify if the 426 wedge engine was original to the car was to remove the starter to reveal the casting number and casting date of the engine block. This car had a Shipping Order, or planned delivery date of 203 or February 03 1965 on the fender tag. My thoughts are if the engine was cast in 1964 it was most likely assembled on 16 October 64 for use in an early 65 model car. If that was the case, after the engine was assembled it would be stamped with an “A” for 1965 rather than a “V” for 1964 because it was scheduled for a 65 model year car, and the assembly date would be 10-16 of 64. I removed the starter and the casting date read 4-10-64. So, this 426 wedge engine block was born in 1964 and used in my 65 Coronet 500. This makes perfect sense because by July or August of 64 Dodge would have been building engines and scheduling cars for production in 65. And they would assemble any remaining engine blocks cast in 64 for cars built in early 65 to use up the remaining 64 inventory. 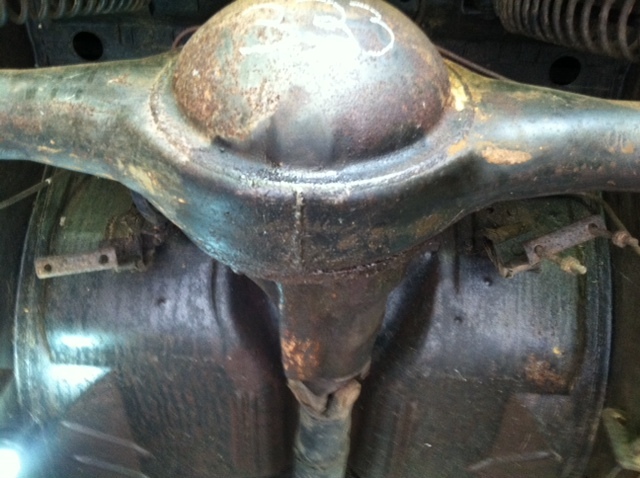 This tells me the engine was cast in April 64, assembled in October 64 and scheduled for an early 65 model year car. From what I have researched and was told it was not uncommon for engines to be assembled one to three months prior to production. All the stars are aligning in order, casting date, assembly date and build date. 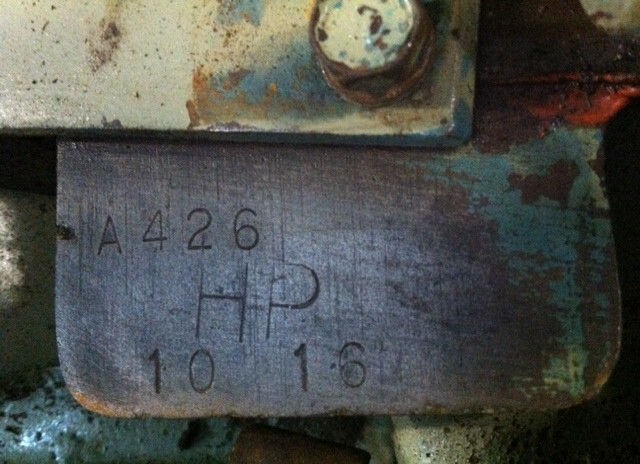 Another clue that helps verify this information is; if they assembled the engine in October 65 it would be scheduled for a car built in 66 and the 426 street wedge was a 2-year only engine for 64 and 65. While the car was on the lift I double checked a few things to reassure myself it was in fact a car destined to come with a 426 wedge engine from the factory. The car had the original factory dual exhaust hanger brackets located above the rear axle, and a front sway bar, that I understand was specific to a 426 car. Next I moved to the transmission. 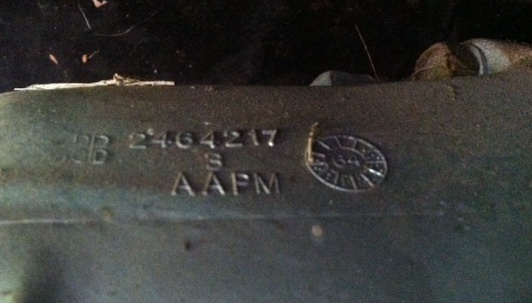 I located the casting number 2464217 which is period correct for the car and if you look closely at the circle there is a 64 in the center. The 12 boxes around the circle represent each month of the year. Nine of the boxes are marked, and if I’m not mistaken that means the transmission was cast in September 1964 and then used in an early 65 model car. The car has an 8 ¾ rear axle with the casting number 2070742 which would be period correct as well, and was used for medium and high horsepower applications. I’ll need to see if there is a way to date the casting. Of roughly 33,000 Dodge Coronet 500s sold in 1965 only 440 of them came equipped with the 426 street wedge engine and automatic transmission. I don’t know how many survived the past 50 years, but this is one of them and I can’t wait to start restoring it. One rare American muscle car!